Got spammers and scammers? Free your digital marketplace from fraud. 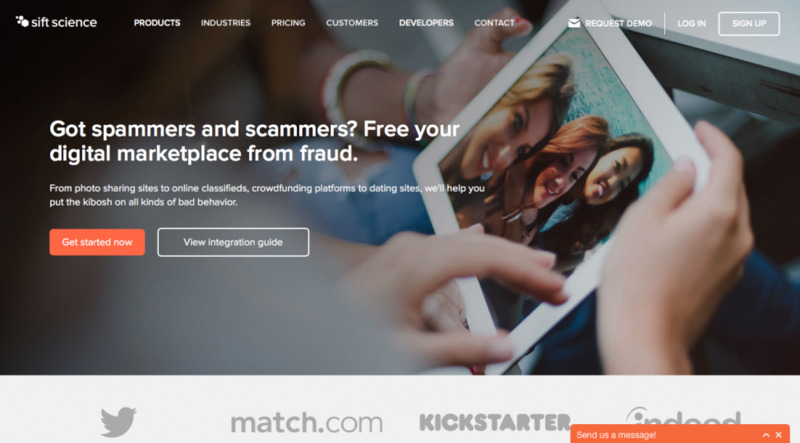 From photo sharing sites to online classifieds, crowdfunding platforms to dating sites, we’ll help you put the kibosh on all kinds of bad behavior.